Dr. Tolzmann continues his efforts to spotlight the historical contributions of German-Americans in this new edition of Rudolf Cronau's landmark biography of Baron Friedrich Wilhelm von Steuben. A professional soldier in the army of Prussian King Frederick the Great, Steuben came to the American colonies in 1777 at the urging of Benjamin Franklin to act as an advisor to Gen. George Washington. Washington's Continental Army was preparing for its desperate winter at Valley Forge, licking its wounds after a string of nearly crippling defeats at the hands of the British and in dire need of support. Bolstered by his belief in the cause of colonial independence, Steuben set about the total reorganization of the Continentals' military structure with a new emphasis on drilling, discipline and time-honored battlefield tactics and strategy. 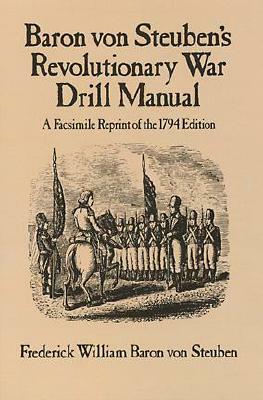 Though harassed by Congress and frustrated by inefficiency and corruption within the military infrastructure, the dynamic baron overcame the shortcomings of so many of his contemporaries and succeeded in transforming the Continental Army from a slipshod troop of guerrillas into a motivated, highly disciplined corps of soldiers and officers. 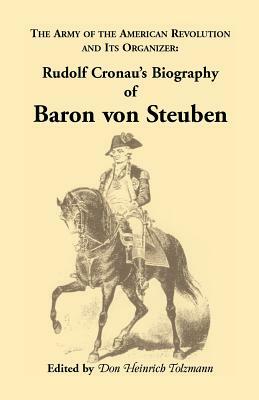 Cronau's gripping narrative sees General Steuben through the darkest days of the American Revolution at Valley Forge to the brightest victories of his career at the Battle of Monmouth and the Siege of Yorktown. A personal feel is maintained throughout the text with much information drawn from Steuben's own correspondence. Steuben's financial difficulties, his foibles with the English language, his explosive temper, the mutual respect and fanatical devotion he shared with General Washington and the soldiers under his command are all rendered with detail and insight. A new fullname index has been compiled for this edition as well as a new introduction by Dr. Tolzmann.